HBO unveiled a brand new sizzle reel earlier today, and it teased a lot of drama on the horizon for fans of the premium cabler. Arguably, the biggest part of the clip is the brand new Game of Thrones Season 8, and it shows a meeting for the ages. 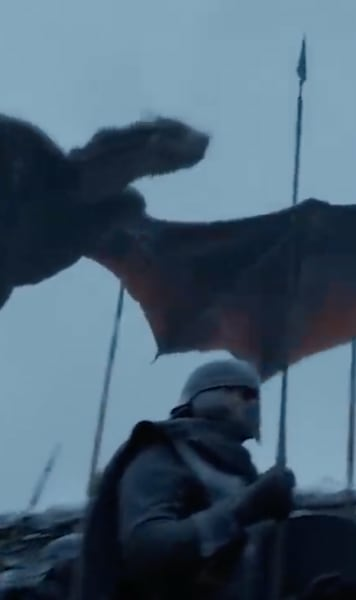 The Unsullied arrive at Winterfell with Drogon flying over them. 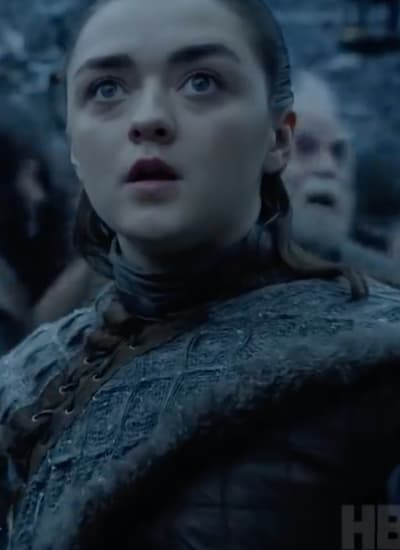 Arya gets a glimpse of the dragon, and we think it's fair to say she thinks it's going to help them win the upcoming war against the undead. While people in the background look scared at the scale of the creature, Arya can't help but smile because, well, it's a freaking dragon! The other Game of Thrones related footage in the clip was all from Game of Thrones Season 7. HBO is clearly taking a subdued approach to promotion for the final season. At this stage, it would not be surprising if there was no trailer for the final six episodes. We also got our first glimpse at the forthcoming Deadwood revival movie. We get to see Seth Bullock and Al Swearengen in the Gem Saloon with the former saying, “My job ain’t to follow the law, Al. My job is to interpret it." 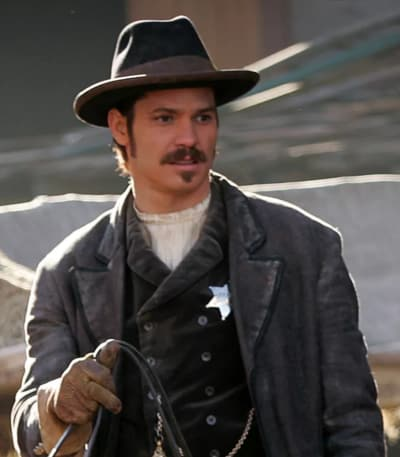 returning cast members include Ian McShane, Timothy Olyphan, Molly Parker (Alma Ellsworth), Paula Malcomson (Trixie), John Hawkes (Sol Star), Anna Gunn (Martha Bullock), Dayton Callie (Charlie Utter), Brad Dourif (Doc Cochran), Robin Weigert (“Calamity” Jane Canary), William Sanderson (E.B. Farnum), Kim Dickens (Joanie Stubbs), Gerald McRaney (George Hearst) and W. Earl Brown (Dan Dority). "The indelible characters of the series are reunited after 10 years to celebrate South Dakota’s statehood," reads the official logline. "Former rivalries are reignited, alliances are tested and old wounds are reopened, as all are left to navigate the inevitable changes that modernity and time have wrought." Watch the full video below. There are also new teases for Big Little Lies, and even His Dark Materials.